The military field is the most dynamic field. Innovation is the most important and the most conservative. Facing the transformation of war formation, combat methods, command mode, and winning mechanism under informatized conditions, the in-depth exploration of the mechanism of the informatized warfare political work is not only an important content and concrete embodiment of the theme of practicing political work, but also a focus on playing the role of lifeline. Reality needs and urgent tasks. With the rapid development of information technology, modern warfare has accelerated to “information + intelligence”, and the battlefield environment, combat strength, and combat methods have undergone profound changes. Our military’s political work has embraced a broad arena of innovation and development, and has also encountered many new era issues. The purpose of the strategic game is limited, and there are more political considerations. 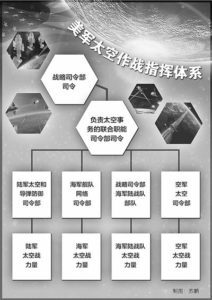 In today’s era, the multipolarization of the world, economic globalization, and the development of social informatization have made in-depth development. The international community has increasingly become the community in which you and I have you. Restricted by multiple factors such as international conventions, international public opinion, and moral norms, conflicts and confrontations that occur worldwide are tend to be decentralized and localized. Information-based warfare is no longer a “zero-sum” game in which you died in the past. The center of strategic guidance is to control the war situation and achieve political goals; it is no longer the same as the mechanized war that uses all the armed forces to accomplish one battle, fight or not, and when to fight. How to fight, to what extent, must be subordinated to serving political needs. Deep application of information technology, the connotation of quality requirements is more extensive. The use and development of information technology does not and can not change people as the decisive factor of war, and the quality of the personnel involved in the war is increasing. The adversary’s high-tech weapons are even more advanced, and there will be “dead spots” on their own. How to accurately find their “Achilles’ heel” and strike the system’s vitals requires the commander to have superb strategic wisdom. The informationization of weapons and equipment is even higher, and it is impossible for them to spontaneously display their abilities. How to realize the integration of man-machine and the maximum effectiveness of the weapons in their hands requires the combatants to have excellent information literacy. High-intensity confrontation and high-intensity damage have brought great shocks to the mind and body of the combatants. How to deal with calmness and countermeasures, and the need for officers and soldiers to have a stable psychological quality. The use of diversity in the strength of participating in the war is aggravating the task of concentrating on God. The “platform center” for future operations gives way to the “system center,” and integrated joint operations have become the basic form. Only when all combat elements, units, and systems are “finished by fists” can the system’s operational effectiveness be exerted. The “physical space” of land, sea, and air and the “intangible space” of the network’s electromagnetic cognition coexist and coexist, presenting a “multidimensional space + point battlefield” form. Only with the overall situation and linkage between the two cities, can localized advantage be the battlefield. It is difficult and difficult to coordinate the military, operational elements, and command levels. Only by enhancing the “adhesion” between combat modules can a comprehensive performance of 1+1>2 be achieved. The belligerence of warring targets is even harder to achieve. Under the conditions of informatization, an important symbol of victory in war is to conquer the will of the opponent. This is not only a confrontational contest in the morale of the military, but also a struggle for the influence of political opinion and public opinion. No one, no sound, and intangible are becoming the main forms of informatized warfare. Unmanned combat forces gradually replace the living forces on the battlefield. Invisible weapons such as electromagnetic guns and laser bombs gradually replace traditional firearms that use chemical gunpowder energy as a damage mechanism. Far away from long-range strikes, they gradually replaced near-meeting fighters, and the two sides of the battle rarely saw face to face. It can be foreseen that in the future battles, public opinion contests, psychological confrontation, and jurisprudential competition will increasingly become the “second battlefields” in real terms, and both the importance and the difficulty will be increased. Accurate and quick combat operations, follow-up service requirements are higher. Breakthroughs in major technologies such as big data, cloud computing, the Internet of Things, and quantum cryptography have enabled combat to evolve from a “technical decision tactic” to a “technical decision strategy.” Under the support of intelligence, reconnaissance, and communications, “one missile Destruction of a command building system breaks into reality; “attack window” or “engagement opportunity” sensitivity is measured in minutes and seconds. “1 minute decides the battle outcome, 1 hour decides the outcome of the battle, and 1 day determines the national destiny” . In the past, the tactics of “human sea tactics”, “melee night warfare” and “permanent warfare” that were often used in warfare were difficult to display, and the corresponding traditional methods of wartime political work were not improved. There is no way out. Compared to mechanized warfare, informatized warfare, the most significant and most fundamental change in the win-win mechanism lies in the informatization of technological forms, the combat warfare systemization, and the convergence of information flow to dominate the energy flow of material flows. As an integral part of the military system, our military’s political work must adapt to the objective needs of the change in the winning mechanism of war, and carry out innovative changes from the concept of command, organizational form to operational mechanisms, methods and means, and promote the highly integrated traditional advantages and information technology, and use data. The chain reinforces the lifeline and strengthens vitality with information. To adapt to the characteristics of information-based operations and political constraints and multi-party linkages, political work must take care of the overall situation and the control bureau in planning guidance. The political attributes of war fundamentally restrict the military objectives, the scale of forces, the choice of strategies, and the development of the war situation. Our military’s political work in wartime is the ideological work and organization work of the Party during its military operations. The fundamental task is to ensure the implementation of the strategic intentions of the Party Central Committee and the Central Military Commission in combat operations. The first thing in organizing political work is to strengthen the political consciousness, overall awareness, command awareness of the officers and men, especially the commanders at all levels, and insist on the realization of the strategic intentions of the Party Central Committee, the Central Military Commission, and the Chairman Xi as the highest goals, and implement the Chairman of the Executive Committee. 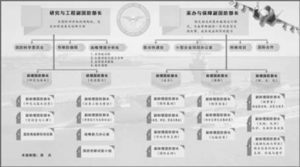 The command orders of the Central Military Commission and the Central Military Commission are fundamental requirements, and are resolutely obeying the strategic goals of serving the party and the country. They call the fight, stop, and stop. They do not blindly pursue pure military results, open a good game, control a good game, and collect a good game. To adapt to the characteristics of confrontation and element integration in the informationized combat system, political work must be integrated into the system and implemented as one. Information warfare relies on information networks to integrate all types of combat elements, units, and systems, and its ability to form depends on the degree of coupling of the architecture. Only when the political work is integrated into the big system and combines, permeates, and penetrates into the entire process of warfare, can it play a better role. It is necessary to strengthen the “combination” of structural functions, adapt to the requirements of the flat modularization synthesis, and achieve convergence with the joint operations command organization; strengthen the “combination” of decision-making and commanding, and change the decision of relatively independent and self-contained systems in the past. Command mode, synchronized with the military command research, deployment and deployment; strengthen the organization’s implementation of the “melting”, close to combat tasks and processes, so that the task is released, the situation together feedback, plans to adjust together, performance one And assess it to ensure that it interacts and interacts with military operations and complements each other. To adapt to the characteristics of information-based combat information leadership and network integration, political work must be based on networks and data support. The core of successful informatization operations is to seize the right to information. In the era of big data, we must explore the formation of a new model of “political work + information network” and strive to achieve a transformation from “under the net political work” to “online political work”, occupy the main position of the information network, and seize the commanding heights of the network political work; “Transformation to “Information and Political Work”, good at relying on information means to carry out political work, with the help of information network automatic retrieval, intelligent identification, auxiliary decision-making and other functions to quickly obtain, analyze and process ideological information; from “extensive political work” to “precise political work”, Emphasize the development and application of combat data in political work, dynamically update and improve the operational database, real-time understanding of the ideological and psychological responses of officers and men, supplementation of battle wounds, and implementation of battlefield disciplines, so as to provide a scientific and reliable reference for decision-making and commanding. To adapt to the three-dimensional, intangible, and unbounded nature of information-based operations, political work must expand its scope and leverage efficiency in content and means. The warfare space for informatized warfare has changed from “three-dimensional” to “multi-dimension,” and the scope of the battlefield has expanded from the “physical domain” to the “cognitive domain.” It is necessary to intensify the idea of ​​big political work, and to establish an organic unified, full-dimensional global coverage of the dot and line surface. Political work network. It is necessary to form a joint force for the main body and open up the link of political work command, organization, and coordination at all levels and levels to achieve vertical penetration, horizontal interaction, and overall linkage; to form a joint force for all personnel, to exert the “adhesion” role of the joint command mechanism, and to launch action battles. The Party, cadres and other elements of intelligence, reconnaissance, early warning, and safeguarding work together to carry out ideological and political work; form a joint force between the military and the land, and link forces, families, and society through sound policy systems, clear responsibilities in the military, and perfect coordination mechanisms. Gather the positive energy of the same direction. To adapt to the characteristics of instantaneous warfare and rapidity in informationized operations, political work must be changed from time to time in time and effect. The combat under mechanized conditions is “big eating,” and the battle in the information age is “fast eating.” Future operations, especially the sea-air battles, will have fast time-to-space transitions, rapid changes in offensive and defensive rhythms, and rapid development of the battlefield. The key to “winning and winning” lies in “first-in-class” and the opportunity to seize opportunities. It is necessary to fully pre-research the premise, analyze the complex and difficult situations that may occur in the trial and combat operations according to the overall operational objectives, study and formulate countermeasures for prevention and decisive treatment, optimize the work flow, use the command network platform function, and strengthen the up-and-down linking and left-right contact. Reducing the level and streamlining the texts and electricity; paying attention to the command of the front, the political cadres deep in the battle position, in-depth officers and soldiers, the integration of zero, see the pin, timely and effective disposal of critical situations, resolve contradictions. By interpreting the winning mechanism of modern warfare, we can more clearly recognize that the excellent tradition of political work that our army has formed in the war years and the practice of building the military is still an important guarantee for winning the victory of informationized operations; at the same time, we must follow the characteristics of informationized warfare. We must seize the key factors that affect the ability to control the system’s operations, identify the path of action, and give meaning to the times, strengthen the unique political advantage of our party and our army, and increase the contribution rate to combat effectiveness. Focus on the joint victory to enhance the leadership of the party committee. The leadership of party committees is not only a concrete embodiment of the party’s absolute leadership over the army in combat, but also an important guarantee for winning the battle. The key to adhering to and exerting this institutional advantage lies in transforming information into decision-making power, cohesion into systemic power, and innovating ways and means of improvement. To strengthen the authority of unified leadership, all major issues concerning the directionality and overall orientation of warfare must be collectively studied and decided by the party committee. In particular, the joint party committee should be given leadership over all actions and personnel in the war to ensure that the order of military order is unimpeded. Strengthen the scientific nature of the deliberative decision-making, pay attention to improving the party members’ information literacy, fully absorb the opinions and suggestions of the commanders and technical experts of the armed forces, and in particular, strengthen the dynamic control of military affairs, public opinion, and public opinion so as to ensure that the decision-making conforms to the combat operations and the actual conditions of the army. Strengthen the timeliness of implementation, the first time to organize the transmission of higher order instructions, follow up the implementation of the armed forces to implement the situation, in particular, according to operational needs to give front-line commanders the right to dispose, to ensure that in case of accidents can respond quickly and properly. Focus on the will to win the battle to improve the effectiveness of the incentive. “One is not afraid of suffering and the other is not afraid of death” is the revolutionary background and spiritual business card of our military. To win informatized warfare, we must reflect on the mental and physical characteristics and realistic thinking of the new generation of officers and men and work hard to build an inseparable “spiritual Great Wall.” Concerning the quality of connotation, we adhere to the unity and unity of unconsolidated operations, focusing on strengthening the education of revolutionary heroism and inspiring the bloody nature of the “one man, one shot, and fighting in the end.” They also pay attention to guiding officers and men to strengthen their awareness of intellect, scientific attitudes, and collaborative concepts. The wisdom and enthusiasm to play the maximum effectiveness of system operations. In terms of behavioral norms, we insist on unification of education counseling and discipline, not only focusing on well-targeted education and ideological work on one person but one thing, but also on strict battlefield rules and regulations to ensure that all parties, regardless of adversity or adversity, can be loyal and dedicated. Policy-oriented, adhere to the unity of spiritual rewards and material comfort, not only focus on activities such as the creation of meritorious service, fire line into the party and other activities, stimulate the sense of responsibility of defending national interests, but also pay attention to solve the actual problems of officers and soldiers to lift the worries of the future. Focus on intelligence to improve the accuracy of manpower deployment. Adhere to the individual allocation and group deployment, commanding key and technical experts, both internal potential and leveraging local complementary, so that ahead of the pre-positioning, positioning positioning, rapid supplementation, in order to win the battle to provide a strong support of personnel. Focusing on the needs of the system’s operational capability, in accordance with the principle of matching people’s positions, we attach importance to the backbone of operational forces and front-line military cadres, and also attach importance to the essential elements of safeguard elements and reserve force cadres to ensure that each combat system, operational unit, and operational element are fully occupied. member. Focusing on the needs of key combat elements, we will continue to focus on focusing on key forces. In particular, we must match the combatants and technical backbones of some key and critical positions and use the best steel in cutting edge. Focusing on the needs of combat support, we will use well-reserved talents around the joint deployment of forces, and focus on the integration of military and civilian security personnel as needed. We will use local intelligence to effectively leverage local high-end talents to achieve the integration of wartime military and human resources. Focus on moral accomplishment and make a good political attack. Public opinion warfare The psychological warfare legal war runs through every aspect of strategy, battle, and battle, permeates all aspects of politics, economy, and diplomacy, and becomes a special combat style for the confrontation of the informatized war system. In the future operations, we must carry forward the good traditions of our military’s essay attacking and fighting against the armed forces. We must emphasize both the will to convey and the moral interpretation in terms of content. We must focus on both the heavy blows and the people’s hearts to fight for the target. We must take the initiative and make heavy moves in the tactics. In order to fully publicize the just legitimacy of our military operations, we should create a world-famous international and domestic public opinion situation, use war laws and international laws to guide the international public opinion and public opinion, actively seize public opinion, morality, and legal system, ensure the military There is no point in political victory.